This morning’s UT-San Diego ran a front page fairy tale about a resolution of the dispute between affordable housing advocates and developers regarding so-called linkage fees on new building projects in the city. We’re told that a plan released by “San Diego’s housing officials and the business community” Wednesday would “double” commercial building fees dedicated to affordable housing. The real story here is that wealthy developers and their lobbyists have effectively torpedoed the very idea of linkage fees in favor of “broadening out” the search for funding sources–which means proposing to stick those of us who actually pay taxes with the tab. Given San Diego’s historic adversity to even incremental tax hikes, this means nothing will be done. The so-called increases in fees will likely be offset by “reforms” in building regulations and planning policies resulting in lower costs to developers. And if the city council does not follow the exact parameters of their “Workforce Housing Plan” by 2018, any fee increase would be cancelled. Oh, and the notion of indexing fees to inflation: gone. It’s important to note these fees (current and proposed) are based on construction costs as they were in 1990. While the rest of us are no longer paying prices from a quarter century ago, developers are. Under the developer’s latest proposal, manufacturing facilities, warehouses, research and development projects and nonprofit hospitals will be exempted from from paying the fee. An earlier proposal by the city council was rescinded after the so-called Jobs Coalition threatened to recall it by mounting a massive misinformation campaign in support of repealing an increase in affordable housing fees by initiative. Given that this tactic has succeeded twice already (WalMart/Big Box Impact Statements & the Barrio Logan Community Plan), it was a smart move. Really? Why couldn’t the Daily Fishwrap name even ONE housing advocate who supported this plan? Bruce Reznik, executive director of the San Diego Housing Federation, which advocates for affordable housing developers, said his board opposes the sunset provision and exemptions. “We’re disappointed in and are not going to be supportive of the proposal,” Reznik said. While the supporters of the new plan claim enough revenue will be generated to build about 37 housing units annually (compared with 22 currently), I’m extremely skeptical, given the Jobs Coalition’s track record with the truth. I know there are serious questions about whether this sort of funding mechanism is appropriate (it certainly is no more than a drop in the bucket as it stands), but the gall of these downtown types trumpeting this “deal” as something good is just beyond absurd. And that’s business as usual in San Diego these days. For more information about these “linkage/affordable housing fees” (it’s a complicated subject) I suggest reading this article from Voice of San Diego. Not everybody thinks that the compromise minimum wage proposal coming before the city council is enough. I happen to think the use of the word “compromise” is a stretch, since council president Todd Gloria made concessions and received nothing in return. San Diego’s Coalition For Labor & Community Solidarity has stood up to say that even the meager $9.75 proposal won’t lift people out of poverty. 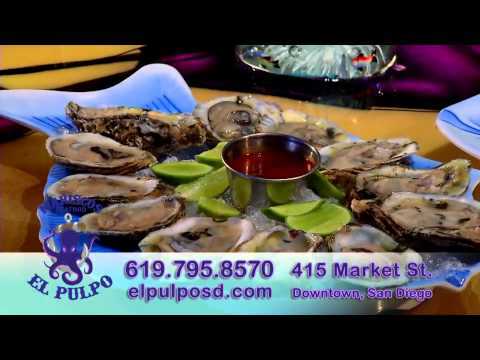 They’re planning to take their message to Gaslamp Quarter businesses such as Funky Garcias & Mariscos El Pulpo, who’ve continued to object to any kind of increase. The fun starts at 4pm on Monday, July 14 out in front of Mariscos El Pulpo (415 Market St.) Here’s the Facebook page if you’re interested. An estimated 60% of people working in food services locally will get a raise by January 1, 2017, a larger proportion than in any other industry. In sheer numbers, the retail trade industry will account for the most raises. Half of everyone working part-time (less than 35 hours a week) will get a raise. Only 5% of those getting a raise will be teenagers; 85% will be between age 20 and 55. The measure will boost the local economy by adding an estimated $260 million a year to the spending power of low-wage earners, who are likely to use it for necessities such as food, clothing and shelter. Activists with Bike San Diego is calling on cyclists to help them build a case for an anti-harassment ordinance modelled on the ones passed in Los Angeles and Berkeley. They’re looking for testimony about bike riders being harassed by drivers in San Diego and especially video footage (via Go-Pro or similar). 5. Intentionally forces a bicyclist off the roadway. Everything listed above is already illegal. This ordinance doesn’t create new crimes, but rather addresses the difficulty of seeking recourse. The burden of proof for criminal cases is high. Police officers and public prosecutors have been extremely reluctant to bring charges for what they sometimes consider to be “minor offenses”. Unless a police officer is on-hand to witness the incident, charges are almost never filed. The ordinance adopted by Berkeley and Los Angeles is groundbreaking because it makes harassment and assault of a bicyclist a civil offense as well as a criminal offence. There is a lower burden of proof for civil cases as the penalties are financial and remedial. Making this harassment a civil offense also puts legal tools directly in the hands of bicyclists, letting them bring suit rather than having to go through the City Attorney’s office in a criminal case. These awards are essential in making civil suits viable, because they increase the likelihood an attorney will take the case. The awards also ask as a strong deterrent to wrong behavior on the roadway. Frivolous lawsuits are unlikely, as a harassed or assaulted bicyclist must not only have enough evidence to convince a lawyer to take a case, but also enough evidence to convince a judge or jury. In the six months since the ordinance was enacted in Los Angeles not one case has yet been brought to court. The State Water Resources Control Board, saying that voluntary measures to reduced water usage have not been successful, is proposing statewide mandates for residents and urban water agencies. If passed by the agency’s board at their July 15th meeting, they’ll go into effect in August. “It’s not meant to spank people, it’s meant to make people aware and say, ‘This is serious; conserve’,” said agency spokesman Timothy Moran, noting that the rules authorize local law enforcement agencies to write tickets imposing fines. The new restrictions prohibit watering gardens enough to cause visible runoff onto roads or walkways, using water on driveways or asphalt, and in non-recirculating fountains. Urban water agencies would be subject to daily fines of up to $10,000 for not implementing water-shortage contingency plans, which restrict how many days a week residents can engage in outdoor watering, among other limits on their customers. Deborah Barrow, who guided San Diego’s library system through severe cuts during the recession and then helped the city open its wildly successful new downtown library last year, will retire Friday. Leading San Diego’s 36-branch system was the final chapter in a two-decade career that included management positions at libraries across the state, including Chula Vista in the early 1990s. As you might expect, Barrow is retiring with a pension. Having only worked for six years in San Diego, the UT article notes the $85,000 annual pension is coming from previous library jobs and that she didn’t apply for an increase based on her subsequent service in San Diego. That’s a good thing, as her predecessor Anna Tatar might tell you. During former city councilman Carl DeMaio’s campaign for “reform” of San Diego’s pension system, his crew toted a portable billboard around the city with Tatar’s face displayed, citing the “outrageous” pension for a “librarian” as compared to a high ranking military officer. In this case, the only thing entirely accurate on the No on D billboard is the dollar amount of Tatar’s pension. The “No on D” campaign was an effort to shoot down a proposed sales tax increase based on the premise cutting pensions was a better option. I always thought “affordable housing” was a boondoggle. If we want to subsidize housing for poor people, we should subsidize their rents like Section 8 does. By definition “for sale” housing is not for poor or low income people. It’s a total waste of money and an idiotic program. First we should totally subsidize apartment units for the homeless on a Housing First basis. Next we should subsidize rents for low income people. Any money going into “affordable housing” is a total PR stunt, and the whole thing should be abolished. It’s a total sham and the number of “affordable” units is a testament to that fact. And what’s to prevent the buyer of an “affordable” house from flipping it for a profit?